Apple’s 10th anniversary iPhone has already caused quite a stir. There have been rumors that the company will roll out three new phones this year, including one with an OLED display. With this huge market opportunity, companies are now striving to join Apple’s supply chain. Japan’s Sharp, for example, has reportedly sped up its plan to jointly build an OLED plant in China with its parent company, Taiwans Hon Hai Precision Industry, also known as Foxconn Technology Group. Japanese media predict that the new plant may locate in Zhengzhou, Henan, where Foxconn’s iPhone assembly plant is. The close proximity helps reduce logistic costs. The investment is rumored to be up to several hundred billion yen. With their killer applications, as the analyst Ming-Chi Kuo at Taiwan’s KGI Securities estimates, shipment of the upcoming three new phones would hit 1-1.1 billion units, a 20-30% increase from that of iPhone 7 launched in the send half of 2016. This ‘supercycle’ is triggered mainly by the expected OLED display. 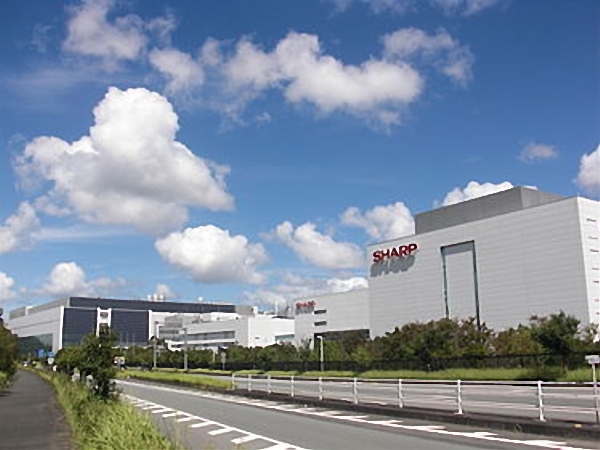 On September 30th 2016, Sharp announced that it would invest around 57.4 billion yen in pilot production lines at its plants in Osaka and in Mie prefecture, which are due to start in the second quarter of 2018 (between April and June). However, these production lines would be used for testing out possible strategies and technology for mass production. Although there would be small-scale productions and shipments, the official mass production will not begin until 2019. That said, if the latest rumors are true, Sharp may be able to start mass production of its OLED display ahead of schedule, even earlier as in the second half of 2018. Threats from other OLED manufacturers deeply concerns Sharp. Apart from the dominant supplier Samsung, Japan’s JDI, South Korea’s LG, and China’s BOE all want to get in on possible deals. BOE has already sent OLED screens to Apple for testing. As a result, it is necessary for Sharp to put the pedal to the metal in order to join Apple’s OLED supply chain.